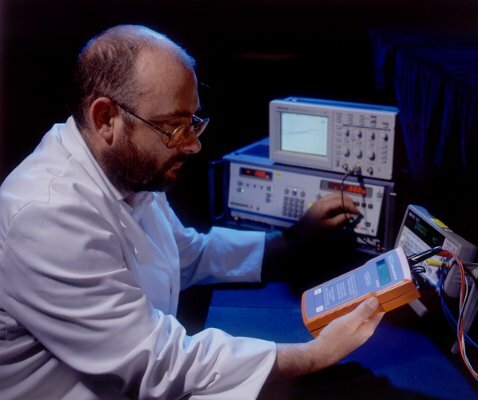 The Teletech Service Centre offers calibration, repair and functional testing services across a range of test equipment, used in telecom industries. The Service Centre is certified under ISO9001:2000 quality assurance standards, with all testing instruments calibrated and traceable to National Standards. Our work practices and procedural guidelines ensure that all of our customers are provided with a professional, personalised service every time they require assistance. If the product is in warranty (12 months from purchase) and without any misuse; the item will be repaired free of charge, including free shipping within Australia. However, if the item is within the warranty period but the fault is not caused by a manufacturing failure then the minimum repair charge is payable. Teletech will contact you immediately if the warranty repair is rejected. A shipping fee will be charged if an unrepaired and unpaid for item is returned to the customer. A short description of the fault. Make sure the 9 volt batteries are Alkaline batteries. Is the Oscillator Hirose Connector dirty? - use CRC 2-26 electrical cleaner. Teletech will hold onto uncollected items for 6 months and make every reasonable attempt to contact the item’s owner. After which Consumer Affairs Victoria directives are followed. If the item cannot be returned it may be scrapped.